The ServerLIFT LE-500X™ Lift Extension helps users remove servers, switches, UPS devices and other rack mounted equipment from crates and boxes. Th.. 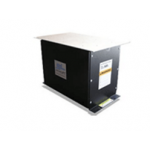 The ServerLIFT Front Loading SL-500FX is great for any data center design. 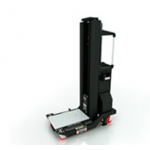 It is the only data center certified lift capable of supporting equipment u.. 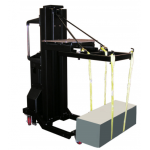 The ServerLIFT SL-350X alleviates this concern, creating a safer work environment and streamlining data center operations. 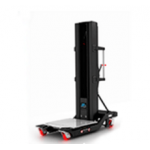 With features designed spec..
Data center migration with the serverlift SL-1000X is the best-in-class solution for managing the heaviest equipment for any data center relocat.. The ServerLIFT RISER enables a user to install servers at the top of any rack in areas where positing equipment is challenging such as: 9 Low ceilin.. 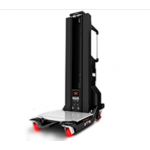 The ServerLIFT SL-500X assists in data center management and offers advanced technology for lifting server hardware and IT equipment. As the industry ..